Hello, I’m Anna and I created the Professional Crafters Guild in 2011 to help craft businesses like mine to get the recognition that they deserve. I’m a busy wife and mum to two sons so I know how hard it is to juggle with everything that you need to do to make your business successful. There is always so much to keep up to date with; social networking, websites, legal procedures; that it is difficult to find the time to create your products. And let’s face it, creating was why you started in the first place wasn’t it! All of this other stuff just gets in the way and on top of you. Let us help you to learn the skills that you need and provide you with a community that knows how you are feeling. How to help. Join us at the PCG! You are in the right place if you are either; considering turning your crafting hobby in to a business, or are currently running your own crafting business (whether start up or established). 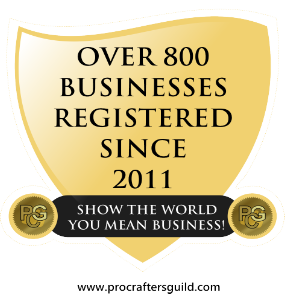 The Professional Crafters Guild offers, guidance, support and recognition for your craft business. With access to information, support networks, recommended services, there are many opportunities for promotion and participation. Why should you join the PCG? Sometimes you just need a little help with an aspect of your work. Whether it is practical, technical or support. We have members with all levels of experience that love to help out. It seems that you have to spend more and more time online marketing and less time doing the creating that you love. Let us help you to manage your time and while we are at it promote your business for you. How do you make your business stand out from all of the rest? Our attractive and unique badges and certificates can help with this. Display them with pride on your websites and craft stalls and show the world that mean business! Having trouble getting to grips with a social media platform, photographing your products, blogging etc? Our Sapphire membership comes with occasional workshops where we all get together and brainstorm topics. Do you love taking part in activities that boost your business? Sapphire membership will include a discounted place in the fabulous CRAFTfest events. Above you will find just a few of the reasons to join our community of professional crafters. 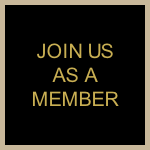 Become a member of our family TODAY!